Home Health Agency Investigation Defense Lawyer - Oberheiden, P.C. Oberheiden, P.C. represents healthcare business owners, physicians, and companies using our experience to avoid and defend against healthcare fraud investigations. Undoubtedly, home health investigations and hospice care are two particularly strong areas of our practice. Our firm has created a team including former Department of Justice trial attorneys, the former Chief Health Care Fraud Coordinator at the U.S. Attorney’s Office, and former lead prosecutors of the Medicare Fraud Strike Force, as well as other experienced attorneys. Clients from across the United States call us when their reputation or livelihood are under attack. The federal government has made combating waste fraud and abuse in the healthcare industry a significant priority. HHS OIG and the FBI partner with other federal agencies such as the Food and Drug Administration (FDA), the Drug Enforcement Administration (DEA), and the Internal Revenue Service (IRS) in pursuing and prosecuting health care fraud. Additionally, various state Medicaid Fraud Control Units (MFCU) contribute heavily to the investigation and regulation of the health care industry. Many of these groups work throughout the United States on federal healthcare task forces investigating fraud allegations. The former federal prosecutors and attorneys of Oberheiden, P.C. are available to discuss your case. Don’t let the situation get out of control. Without proper attention and legal assistance it is possible that the government may attempt to build a criminal case against you. Call us today and let us identify your options. Healthcare investigations take several different forms. Some investigations are civil in nature. Civil investigations mostly deal with False Claims Act allegations. Many times a False Claims Act case stems from a whistleblower action or Qui Tam where an individual is reporting allegations of wrongdoing to the government. The purpose of a civil fraud investigation is to identify provider overpayments in federal programs and to assess monetary damages. The federal government has recouped billions of dollars through civil investigations and has increased its efforts in this area in recent years. 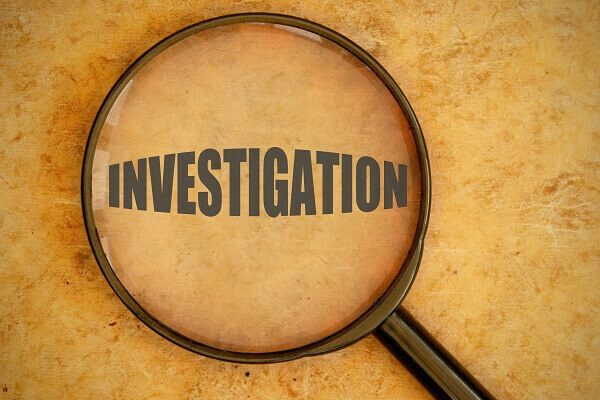 Criminal investigations are different from civil investigations in that the government’s goal is not only to recoup money from a provider, but to charge an individual or a group of individuals with a felony. A felony conviction normally results in incarceration, significant monetary damages and the loss of the provider’s professional license. Many times civil and criminal investigations intersect and overlap in what is known as a parallel investigation. In a parallel investigation the government is working with several sets of agents who assess allegations of wrongdoing from the civil and criminal perspective. It is important to note that the information that the government is evaluating in this parallel process is many times the same set of facts or circumstances. The main element the government will be focusing on is the intent of the provider—meaning did the provider intentionally create a scheme to defraud the government or was the improper billing a mistake or oversight. Clearly this is the most crucial part of an investigation and one that needs to be addressed by experienced counsel in order to move the investigation away from the criminal and toward the civil side. Oberheiden, P.C. has successfully represented clients throughout the United States who were under investigation by the Department of Justice (DOJ), the Department of Defense (DOD), the Federal Bureau of Investigation (FBI), Drug Enforcement Administration (DEA), the Office of Inspector General (OIG), the Medicaid Fraud Control Unit (MFCU), and the Internal Revenue Service (IRS). Our clients benefit from the combined experience that our team of former federal healthcare prosecutors, former leaders of the Medicare Fraud Strike Force, and experienced defense attorneys bring to the table. We routinely advise healthcare clients in False Claims Act, Stark Law, Anti-Kickback, Medicare, Medicaid, Tricare, and DOL investigations. Media Protection (your name and reputation are key, nobody wants to be in the news, we work with the media and where needed oppose unjust reporting or sensational and biased stories). In light of heavy and aggressive government scrutiny against Medicare business owners and medical service providers, it is imperative to consult with knowledgeable and experienced counsel. All clients of Oberheiden, P.C. are represented by senior attorneys. We recognize the importance of each matter and we dedicate our fullest attention to each client. We are available to discuss your concerns in a free and confidential consultation, including on weekends.